to get back into the grind of work. I know you feel sorry for me. Go ahead and pull out your violin and play it right now. Weep for poor Mrs. Kahue having to suffer in Hawaii! Well actually, the dread of having to teach my least favorite lab did hit me now and then when I was sitting on the beach taking in the sun. We even ran into a celebrity. Electricity is not my favorite subject to teach. It has to do with protons and electrons and attraction. These things you can not hold and touch. It's hard to explain these concepts to younger students. You can't see an electron. You can't show them the invisible. 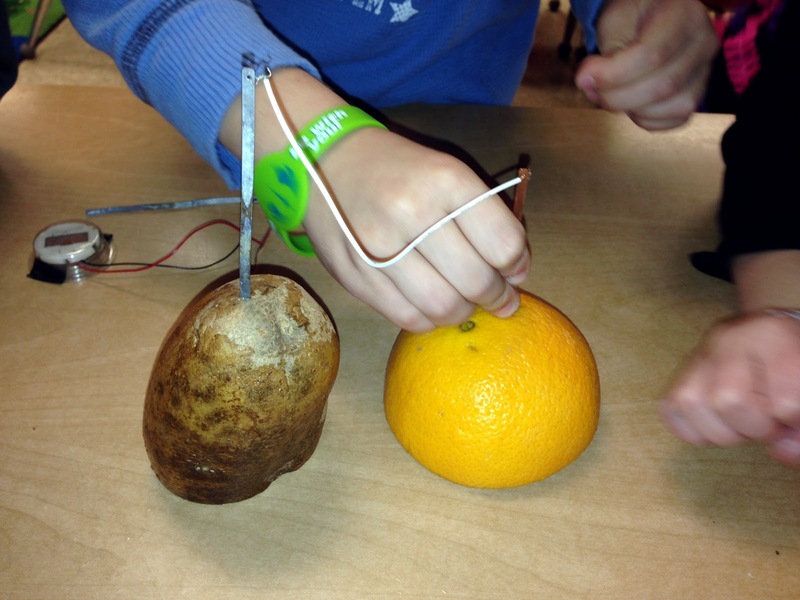 So instead we played with it! You can't show electrons and protons attracting but you can charge up a balloon and attract an empty tin can to illustrate it. 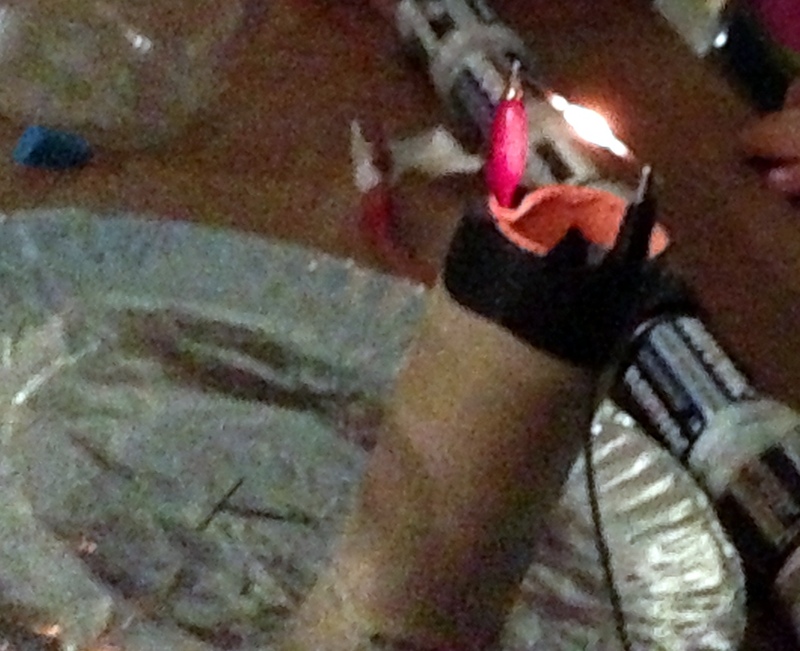 We bent water by charging up a balloon and holding it nearby. 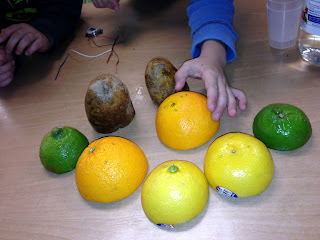 We performed the jumping flea experiment to illustrate the concept of static electricity. 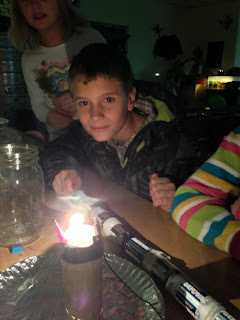 We built our own light bulb by connecting 8 D batteries with some wire to graphite. 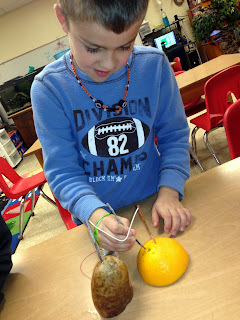 We learned that electricity flows through potatoes, lemons, and oranges. 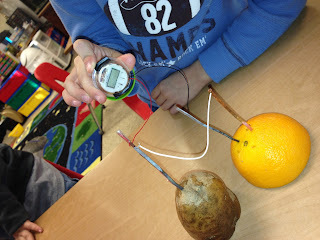 We learned about conductors by testing various objects with currents. It was fun! I'm glad we did it. 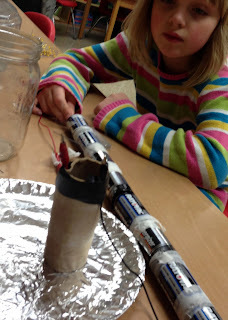 It's not as easy for me as reptiles and snakes but we made it through and learned something in the process. I loved Hawaii but I really love my job! Especially when I can escape once in a while.